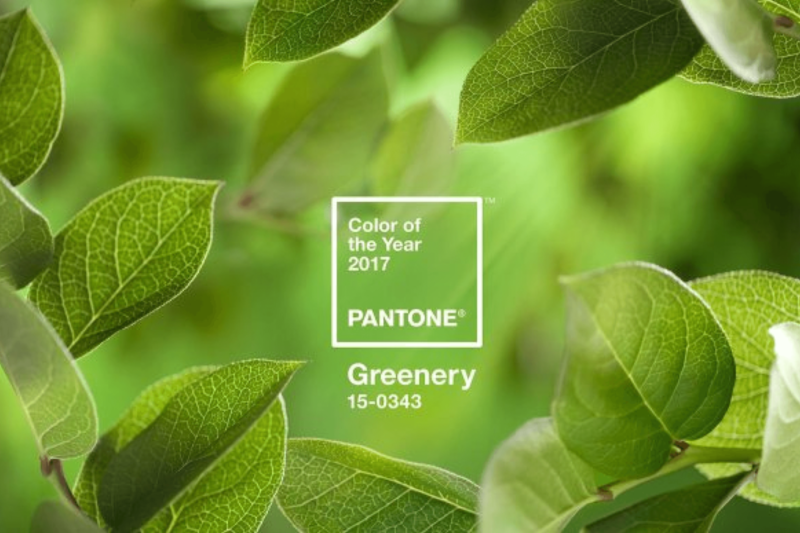 Pantone has chosen Greenery – PANTONE 15-0343 – as it’s colour of the year. A refreshing and revitalizing shade and symbolic of new beginnings. According to Pantone “Greenery is a fresh and zesty yellow-green shade that evokes the first days of spring when nature’s greens revive, restore and renew. Illustrative of flourishing foliage and the lushness of the great outdoors, the fortifying attributes of Greenery signals consumers to take a deep breath, oxygenate and reinvigorate.